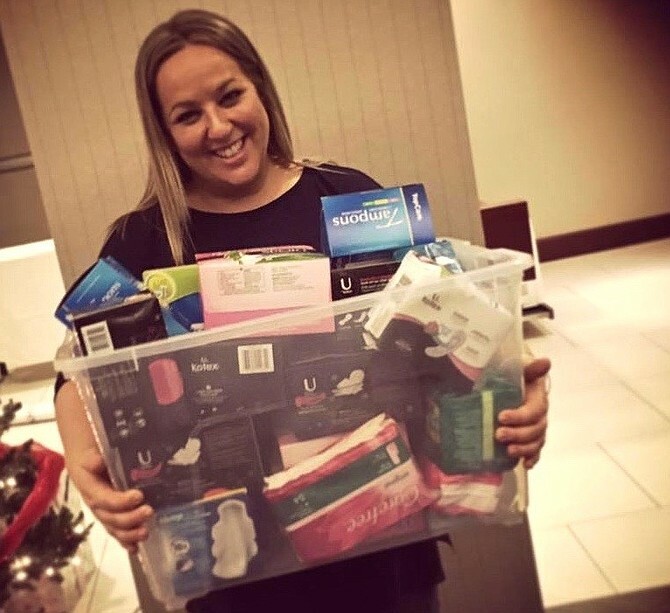 Holly Seibold of BRAWS (Bringing Resources to Aid Women’s Shelters) – Hey! That’s My Hummus! Tonight it’s just Mike — Faiqa is taking the week off, but will return for our next episode! This episode brings us a special interview with Holly Seibold, the founder and executive director of BRAWS (Bringing Resources to Aid Women’s Shelters), a non-profit organization founded in 2015 which has been distributing women’s hygiene products and bras and underwear to women in shelters around the DC area. We talk about how she started the organization, the challenges of the ongoing stigma of menstruation, the battle against the “tampon tax” and more. Holly is the winner of the 2016 Northern Virginia Chamber of Commerce Emerging Influential Leader of the Year Award and Nominee for the Heroines of Washington 2017 award. Holly is a fierce advocate for women’s rights, testifying in Washington, DC and in Richmond, VA in favor of the repeal of the tampon tax and an increased access to menstrual supplies for all girls and women . Most recently, she participated in Congresswoman Grace Meng’s panel, “The Case for Menstrual Equity: How Policies Surrounding Menstruation Affect Outcomes for Women” and was featured on the cover of the Washington Post in the article, “The Once-Whispered Topic of Women’s Menstruation Now Has Political Cachet.” Holly has been featured on NBC4 Washington, ABC 7 News, Good Morning Washington, Northern Virginia Magazine, Fairfax Public Access, StreetSense.org, NPR, The GW Hatchet and the cover of the Connection Newspaper. You can reach BRAWS on Facebook, Twitter (@BRAWSorg) and Instagram (also @BRAWSorg). We’d love to hear your feedback regarding the episode! Please let us know: on our Facebook Page? On Twitter: @thatsmyhummus. Written by: shiny on September 12, 2017.